Hello everyone. 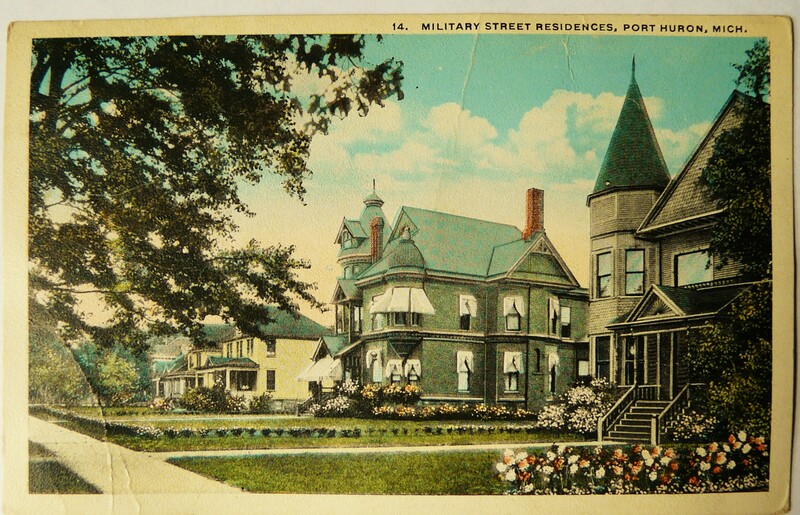 We added a new page for historic postcards, accessible from the top bar menu. This post is an announcement only, and through time any new postcard images will be posted there, not here. Please consider sharing post card images that you own with us, for public educational and research purposes; we will attribute all image “donations.” Below are a few examples. 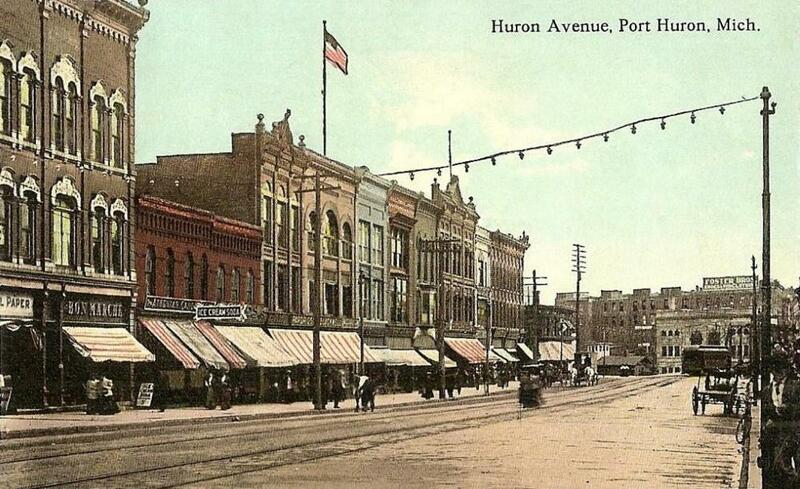 Huron Ave, Port Huron (east side of street, north of Black River, unless I am mistaken), 1913. 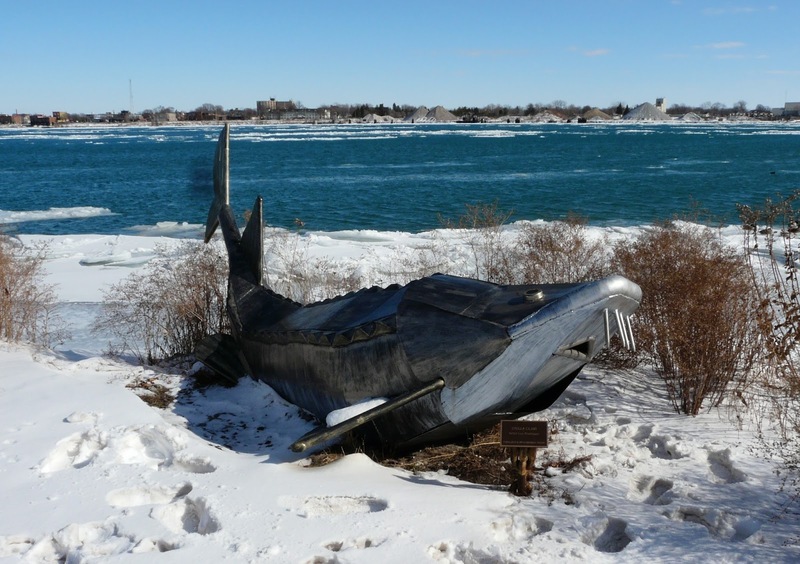 Source: Wikipedia, Port Huron page; public domain. The Jenkinson House as shown on a post card that was mailed in 1919. Source: Lynne Secory. 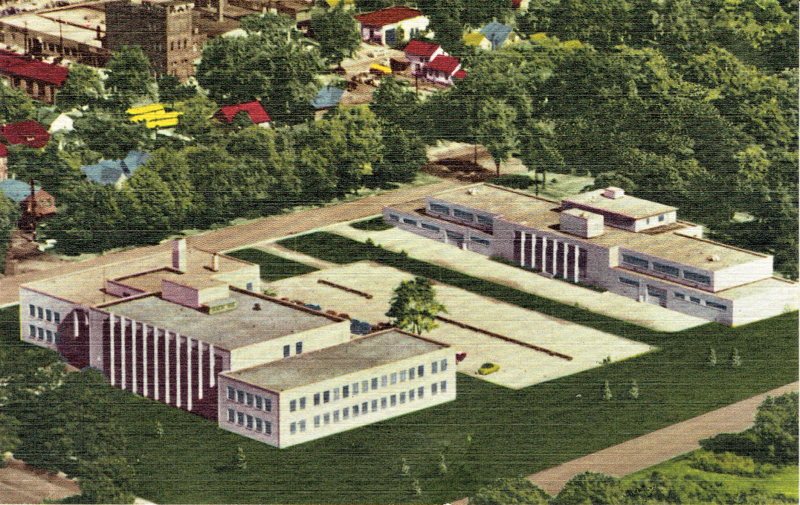 This entry was posted in Historic Preservation by porthuronhistory. Bookmark the permalink. The Jenkinson House belonged to my great uncle Burt Cady at one time. Yes, the owners have had much research done on the house–including my own updates from a previous study. But if you know of any descendants who have knowledge or documents relating to Burt (and his wife, of course), we’d love to know. I’d have to go back to the research to see what questions I might have, although one that comes to mind is if the President (Taft? I do NOT have a photographic memory!) actually used the bathtub or not! The owner shares that he did, but a newspaper article mentions that after the dinner or meet-and-greet at the house, he left late for Chicago, and therefore would not have stayed overnight at the house. Of course, newspapers can be incorrect. If the Cadys kept any journals, the answer should be found in one. Letters might contain such information, too. Also, there’s a short article on the house here at the site.